A former Roman Catholic priest, Daniel Genovesi, has been consecrated to serve as interim Bishop of Uruguay “after considerable prayer and discernment”. The Bishop-elect was consecrated in Buenos Aires Cathedral on Saturday (16 March). He and his wife Mercedes will start their new ministry in Uruguay – described as the most secular country in South America – on Monday 1 April. The missionary diocese of Uruguay was created by the Anglican Church of South America more than 30 years ago. Prior to that, the mainly English chapels at Montevideo, Fray Bentos and Salto were part of the Diocese of Argentina. During that time it has developed its own distinctive style, and sought to grow as a local church. Differences in theology and churchmanship from the rest of the Province and frustration about the non-ordination of women led at a bid from the Diocese to leave the Anglican Church of South America and join the Igreja Episcopal Anglicana do Brasil – the Anglican Church in Brazil. The move was rejected by the Province of South America. More recently, the diocese has faced a series of difficulties involving personnel, finances and a gradual reduction in clergy numbers, “bringing into question even the ability of the diocese to function independently and elect a new diocesan bishop”, the Bishop of Northern Argentina, Nick Drayson, said. 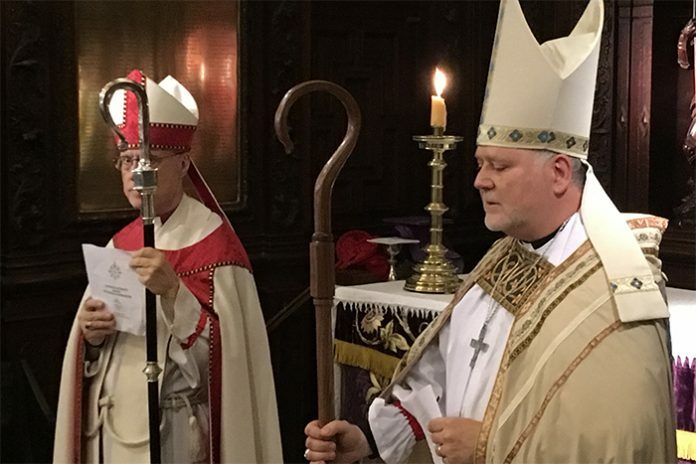 In response to an approach from the Diocesan Council, the Province’s House of Bishops proposed the appointment of an interim bishop who would work with help from the Primate and Bishop of Argentina, Presiding Bishop Greg Venables, and other colleagues to strengthen the diocese. Both Daniel and Mercedes, known as Mechi, are professional psychologists. Daniel is author of a number of books. Prior to their marriage, Daniel was a Roman Catholic priest and Mercedes a nun. They have lived for many years in Buenos Aires, but are originally from the interior of the country.